How to Make Money Selling on Amazon: I Make $50 Per Hour! You are here: Home / Money Saving Tips / Make Money from Home / How to Make Money Selling on Amazon: I Make $50 Per Hour! Some of you may not know this but I have a side business and make money selling on Amazon. Not only do I make money from my blog but I also make money selling things I find at deep discounts as an Amazon FBA Seller. Doing both of these things has allowed me to work from home so that I can stay home with my daughter. Starting both of these businesses was intimidating since I had no clue where to start. But I did my research and learned a lot from trial and error but now I am earning a full time income by working part time hours from home! On average I make $500-$600/month selling on Amazon. I only spend around 3 hours a week shopping for products and sending out shipments, so that averages to $50+ per hour! During the Christmas season, it is over $100/hour! I search for items to sell while I am out running errands that I would be doing anyway. I hit up the clearance section of whatever store I am in and I also look for great deals in the sales ad before I head to the store. I mostly look for products that are 75% less than what they are selling for on Amazon. 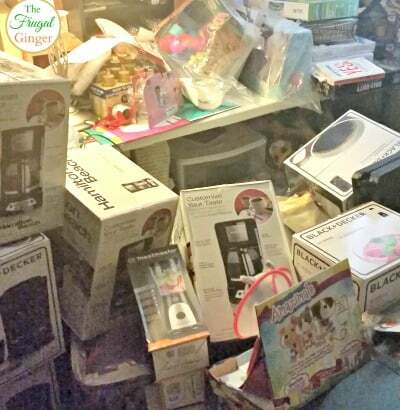 My main focus is on toys, household goods, beauty and personal care products, pet items, and baby items. I am an Amazon FBA (fulfilled by Amazon) seller so everything that I purchase I put into one big shipment and send it to Amazon. When someone buys one of my items, Amazon ships it to the customer and handles all the customer service. That is why I prefer using Amazon to sell items instead of Ebay. I just have to deal with one shipment to Amazon and not have to do multiple shipments to every single customer that buys something. It saves me a ton of time! Can You Actually Make Money Selling on Amazon? There are fees associated with being an Amazon Seller. You can sign up for a Professional selling account that is $39.99/month (you get the first month free to try out). You aren’t charged any listing fees which are $0.99/item if you are just a regular seller. So if you sell more than 40 items/month you are saving yourself money by having a professional account (which is what I have). There are also fees for having your items fulfilled by Amazon. You can ship them yourself, just like selling on Ebay, but I prefer the convenience and time saved by using Amazon FBA. You will be charged a fee for them to pick and pack your item. There are also shipping costs but it is pretty minimal. For example, I find an item that is on sale for $5 but it is selling on Amazon for $25. The average FBA fee for that item would be around $5-6. So I would still make a $15 profit on that item! You just have to take the fees into consideration when you are deciding on what items are worth selling. This is what my office looks like right before I ship all of my inventory to Amazon! I could make a lot more money if I spend more time searching for products to sell. But I spend most of my time working on my blog. There are people who make money selling on Amazon full time and make 6 figures a year (and more). One of those people is Jessica Larrew from The Selling Family. I actually heard an interview she gave on Pat Flynn’s podcast. That is how I was introduced to selling on Amazon. Jessica has been selling on Amazon full time for years and makes over 6 figures in profit each year working 20 hours a week! That is amazing. 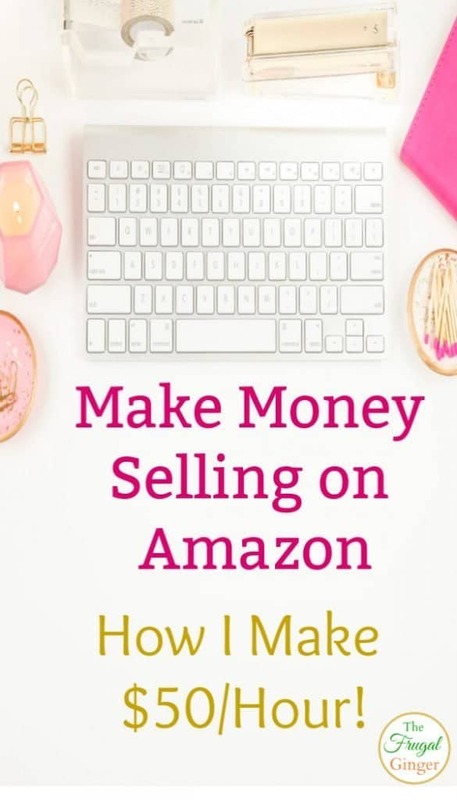 She has her blog that is full of great information about selling on Amazon and how you can get started. She also offers some great classes and courses that will really help guide you on your journey to selling on Amazon. Jessica even offers three free videos from her Amazon Boot Camp course. 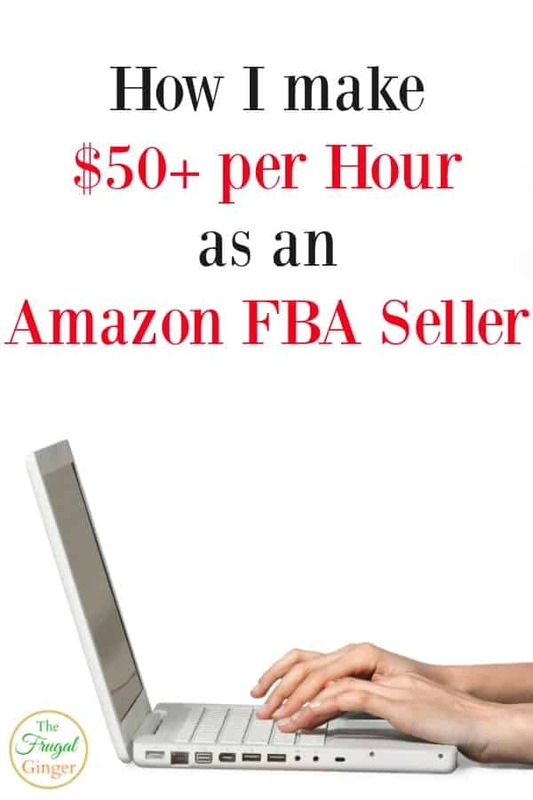 They will give you more information about Amazon FBA. She will also walk you through setting up your account and finding the right items for you to sell. If you are interested at all in starting an Amazon FBA business, sign up for her free videos and books. If it is something that looks like you could hop on board with, then sign up for her classes. They are worth every penny! I love the fact that I am able to make money selling on Amazon. It allows me to make extra income while working on my own schedule from my own home. It’s great for college students, stay at home moms and dads, retirees, and anyone who wants to make a living on their own terms. Check out The Selling Family for more detailed info on how you can get in on the Amazon action! Its interesting! I like to do the same from Nigeria but I do not know it’ll work! Is it possible?